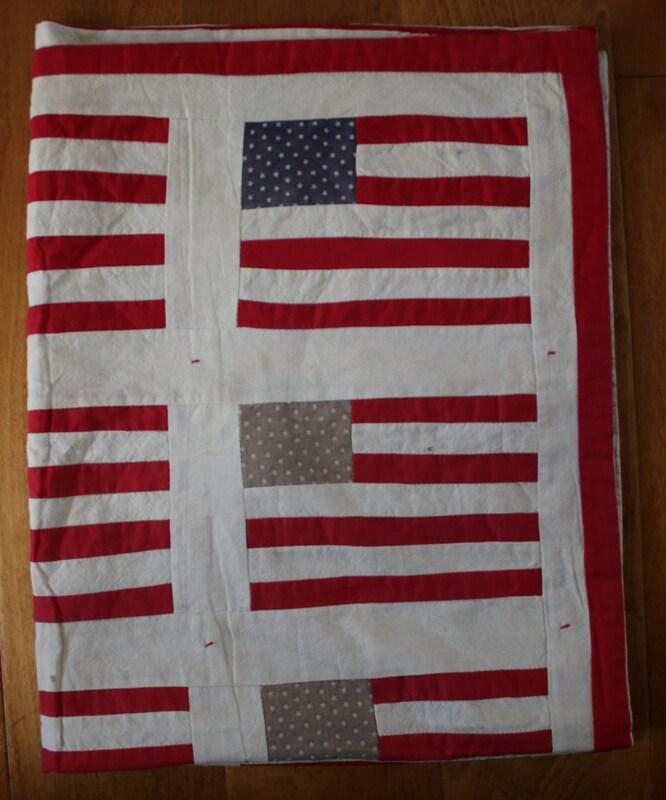 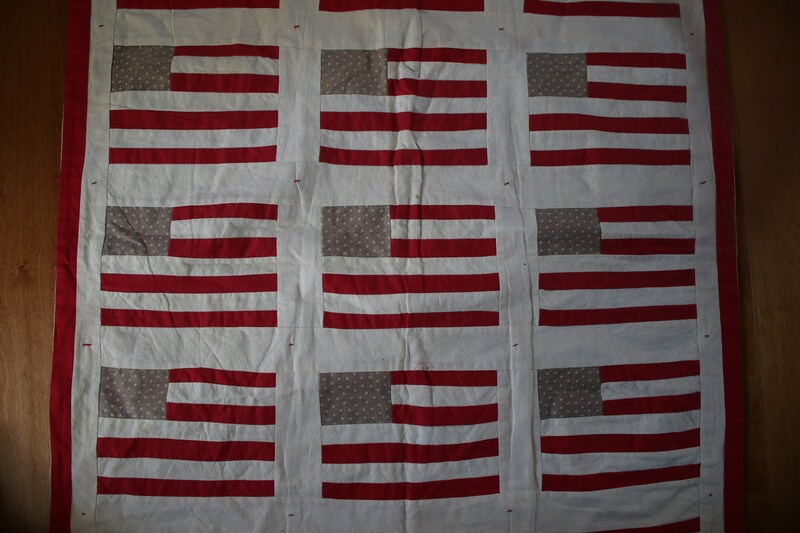 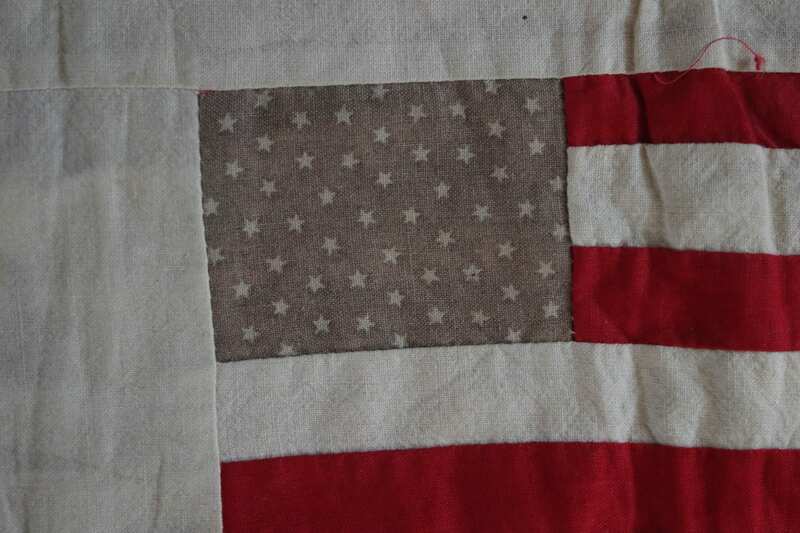 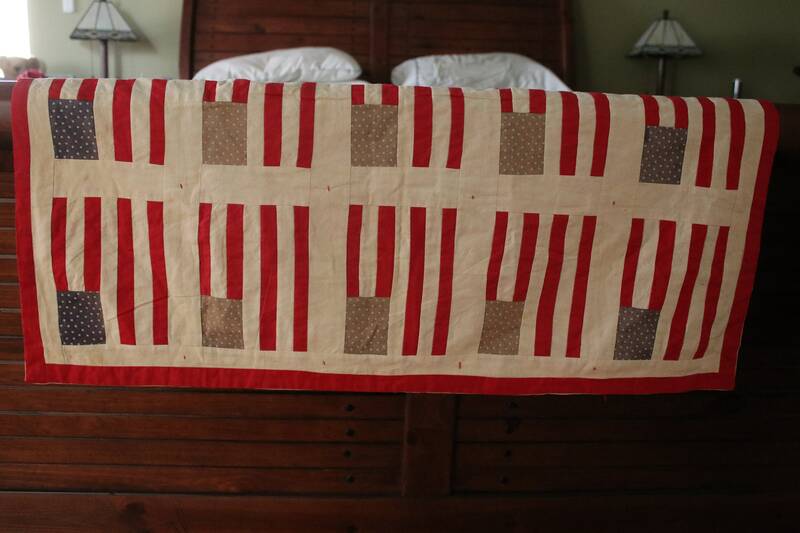 This American flag crib quilt is circa 1870-1890 and measures 31 1/4" x 25. 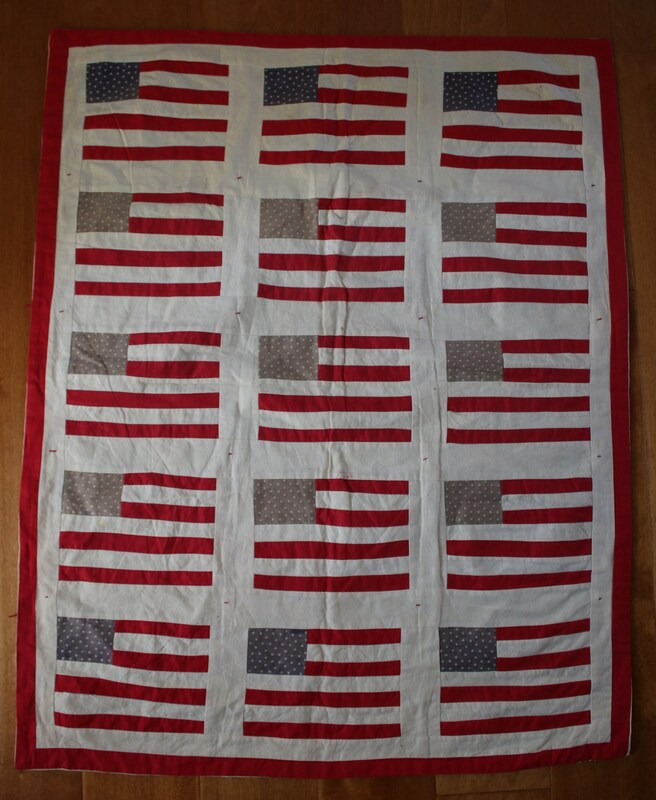 Please note fading to some of the flags' blue fields, which probably resulted from the way in which the quilt was previously displayed. 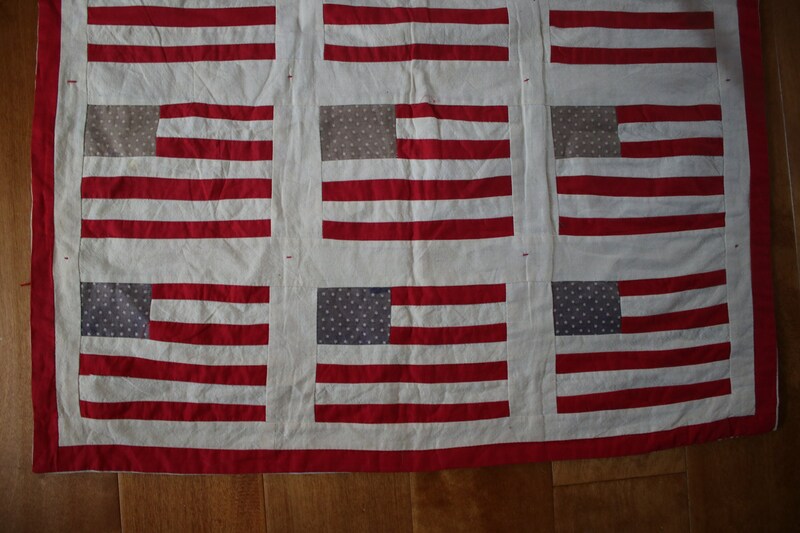 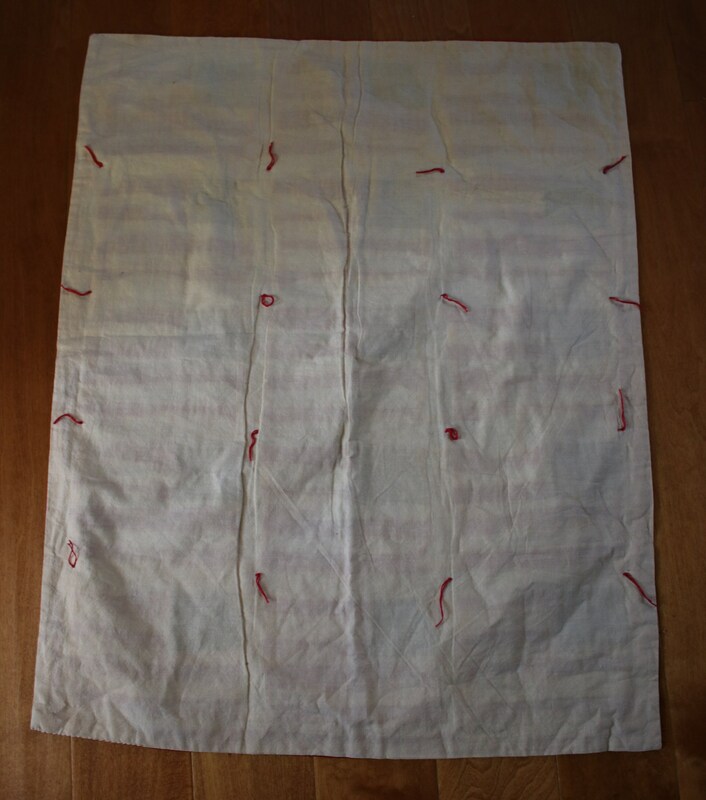 This quilt is suitable for display only and should not be conventionally laundered. 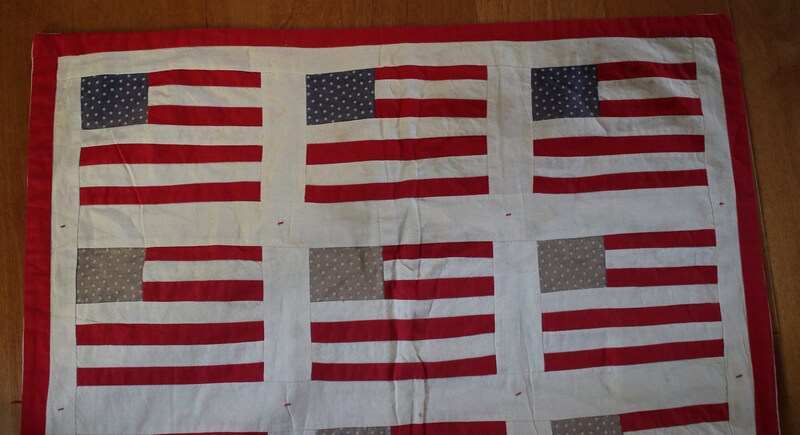 Your quilt will be sent via Priority Mail.